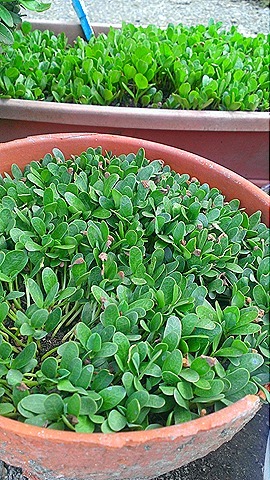 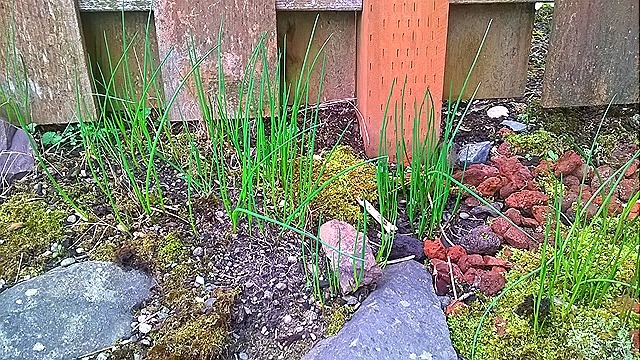 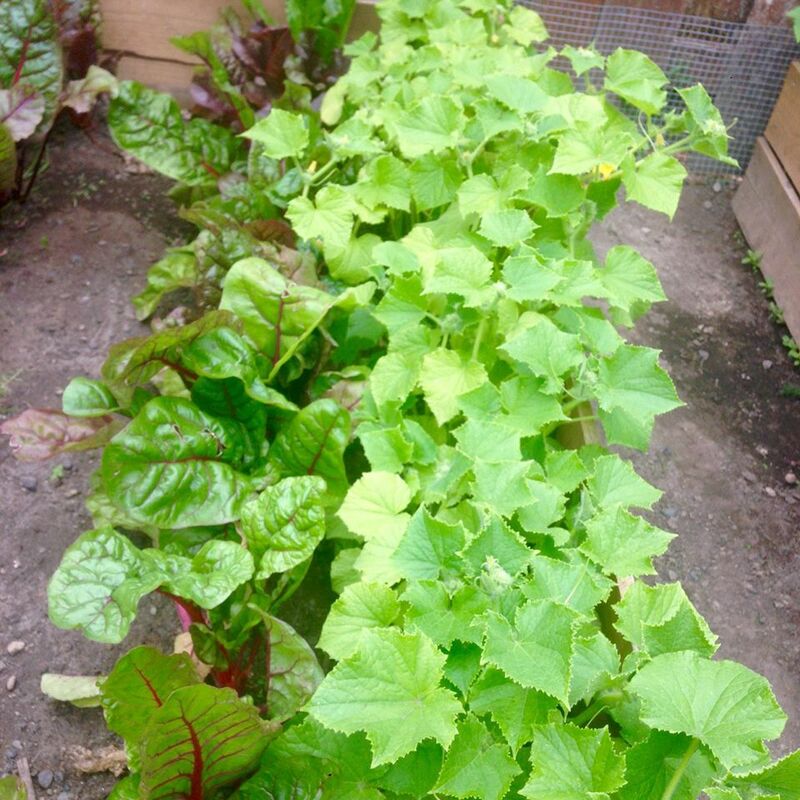 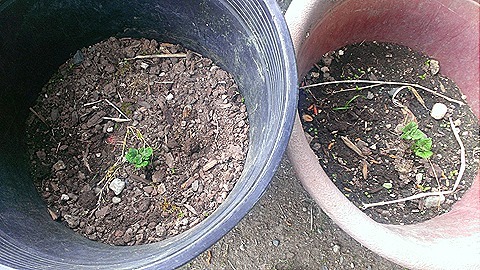 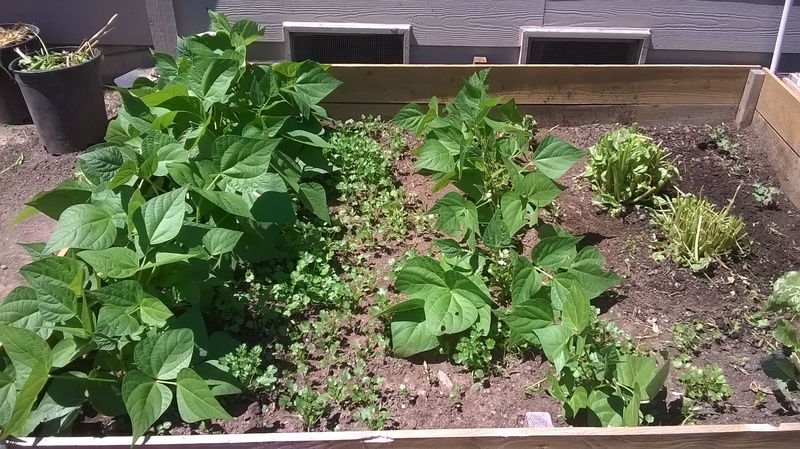 March has brought warm temperatures to the region, some of the dormant veggies are showing signs of life. 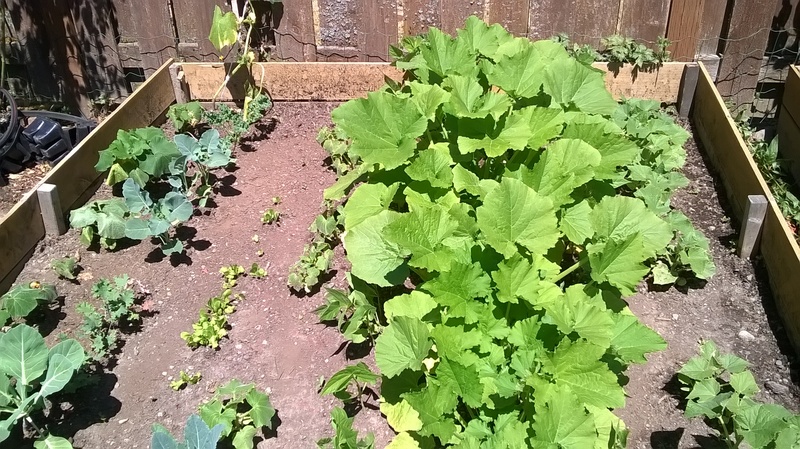 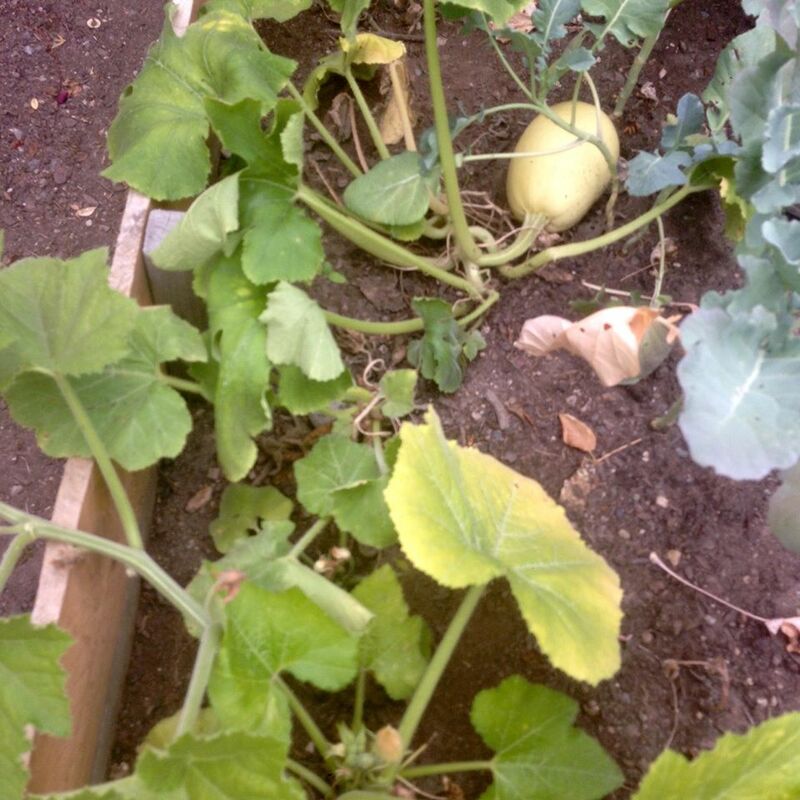 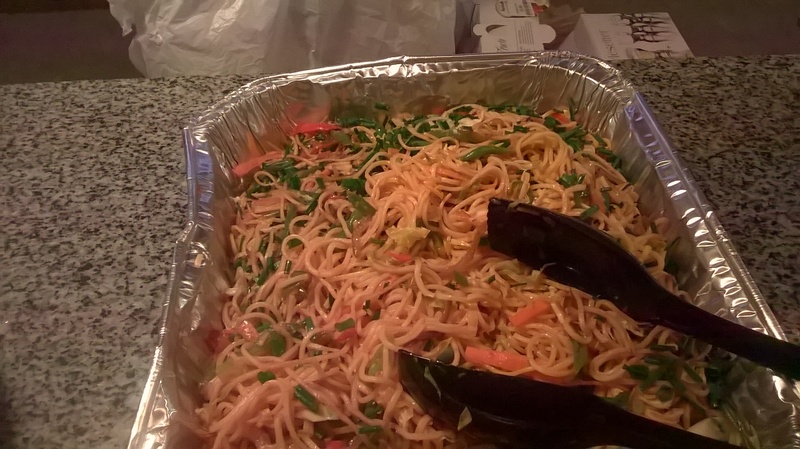 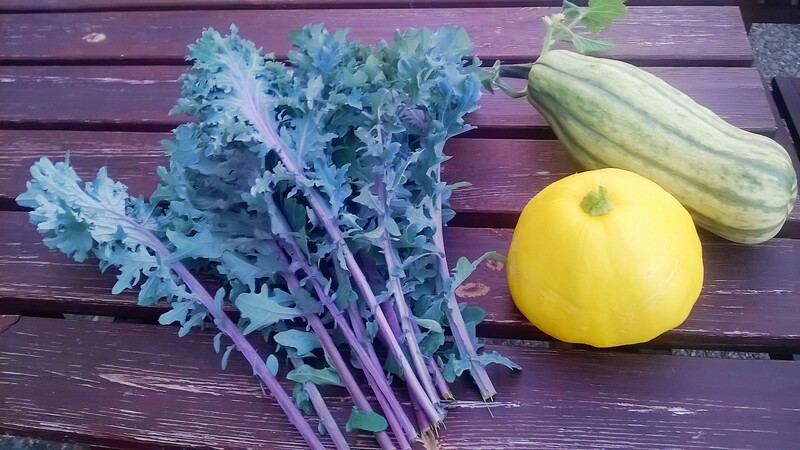 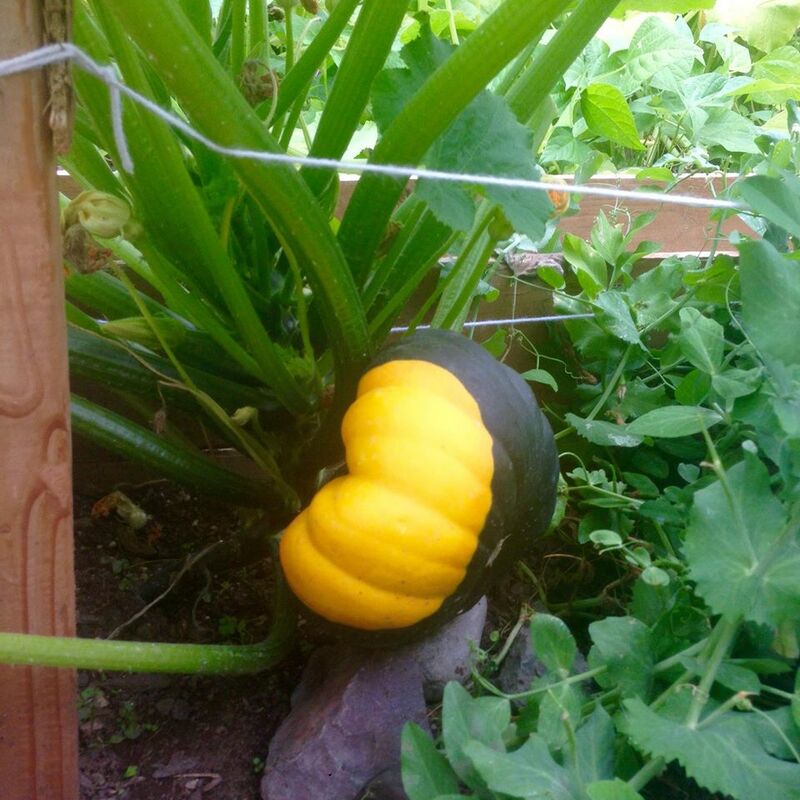 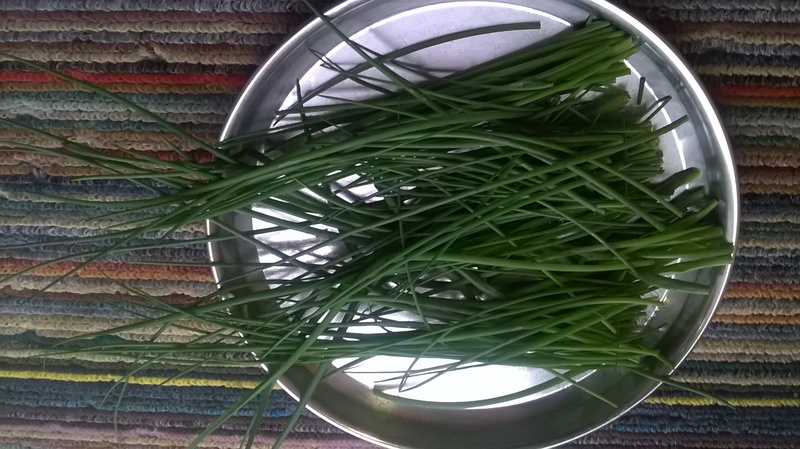 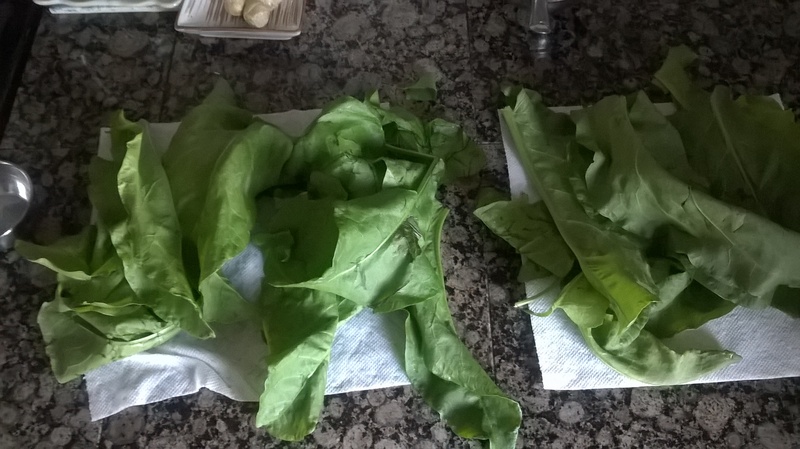 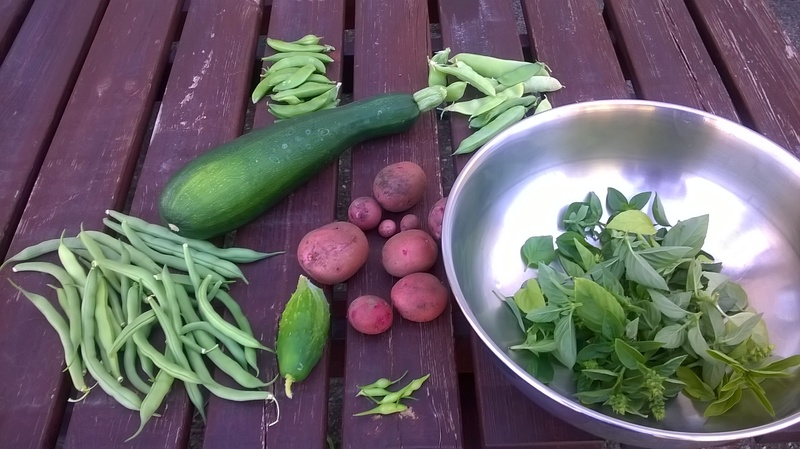 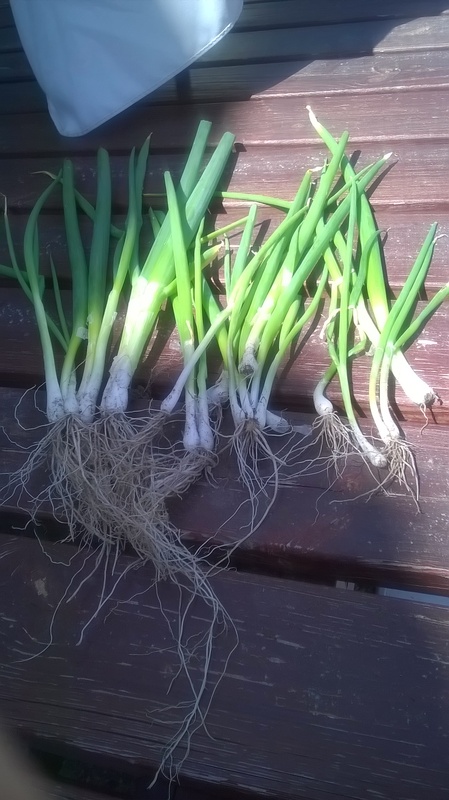 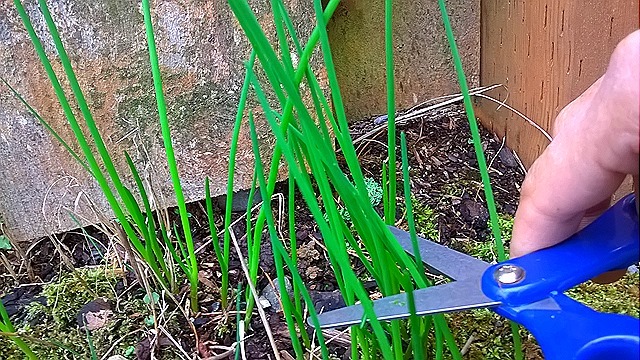 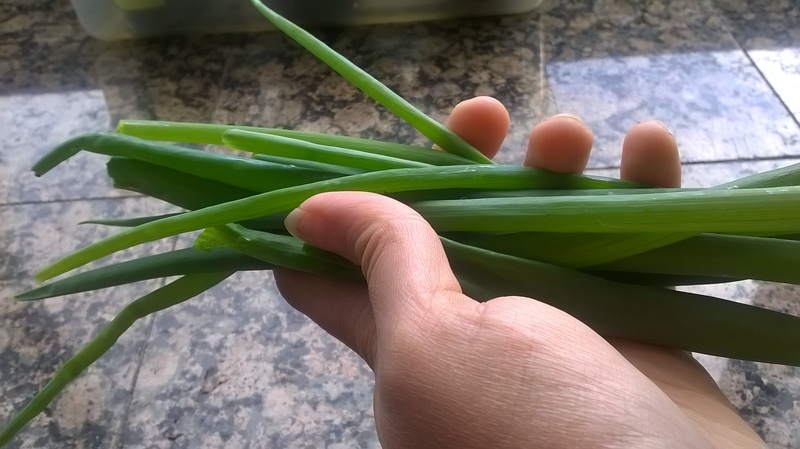 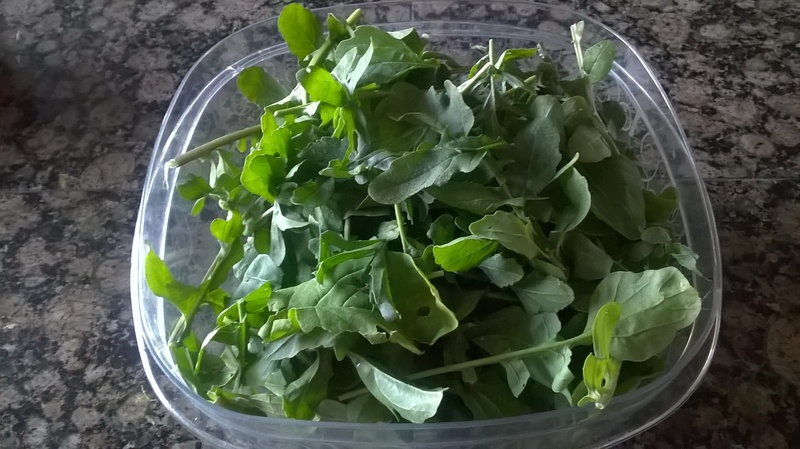 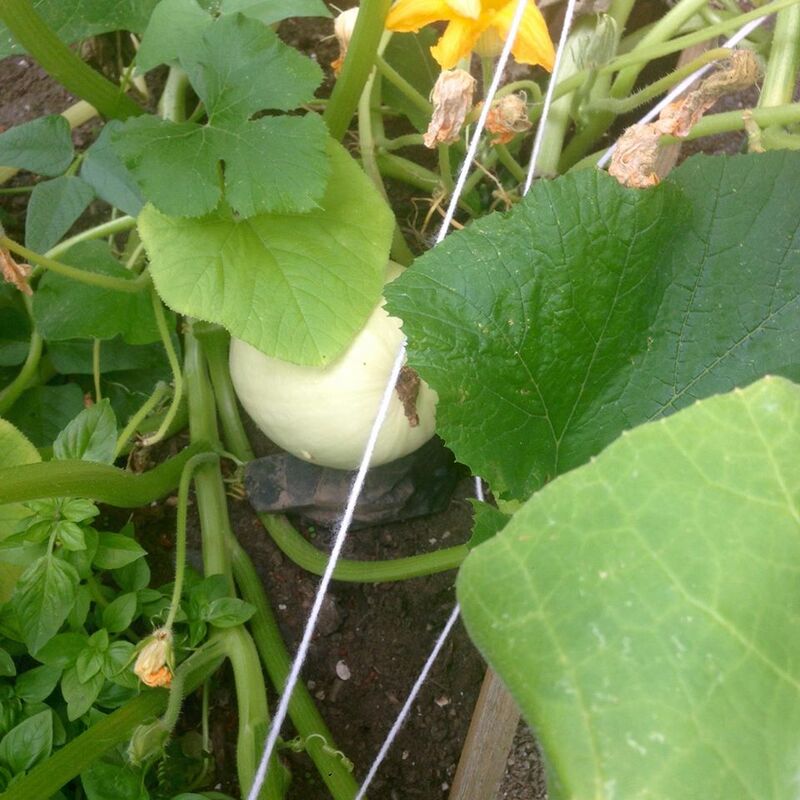 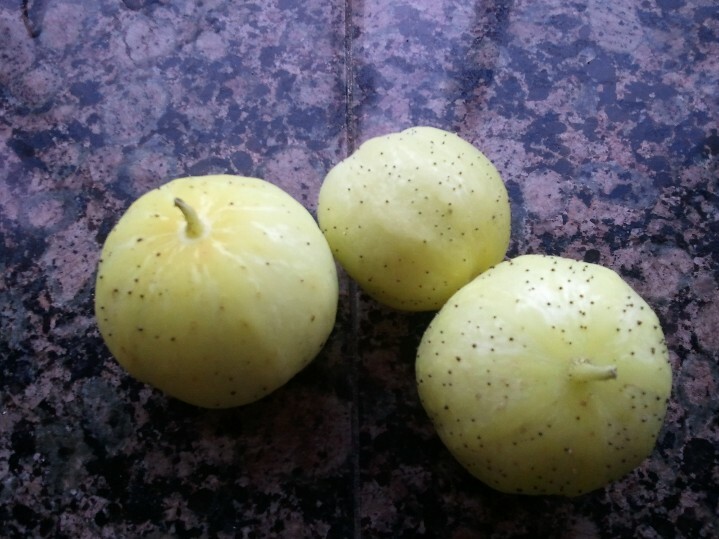 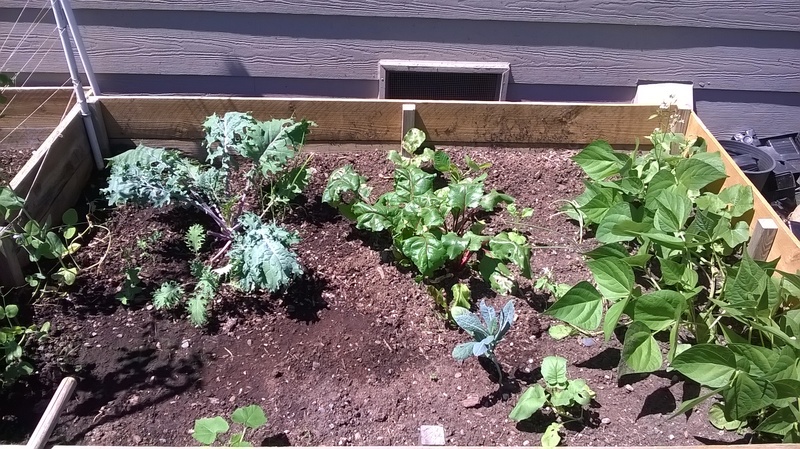 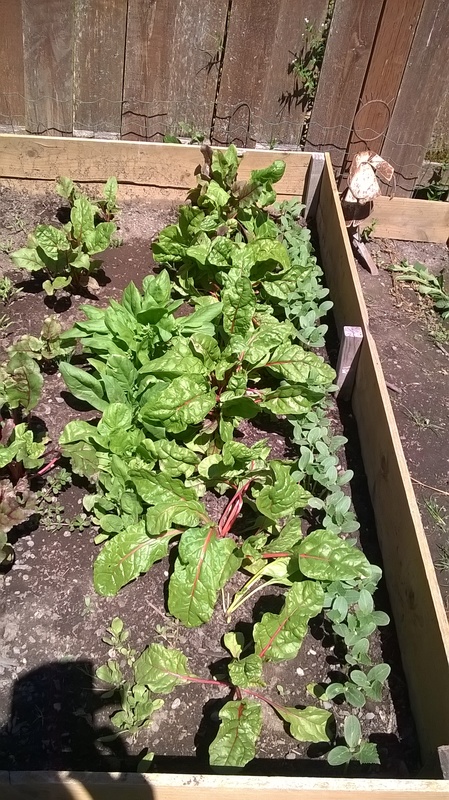 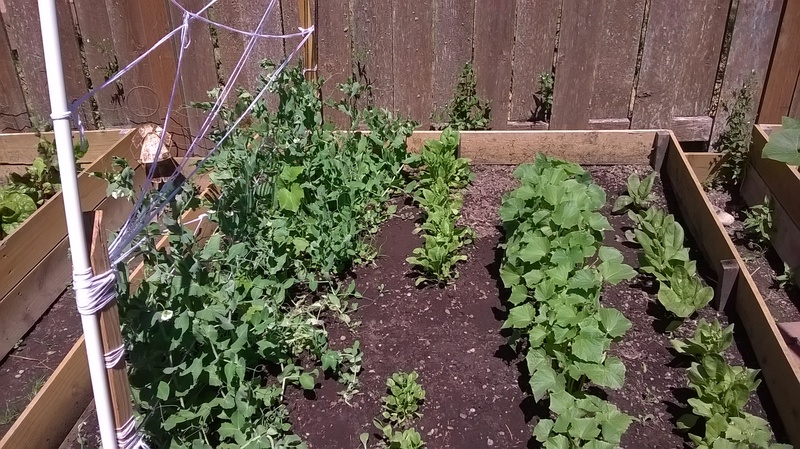 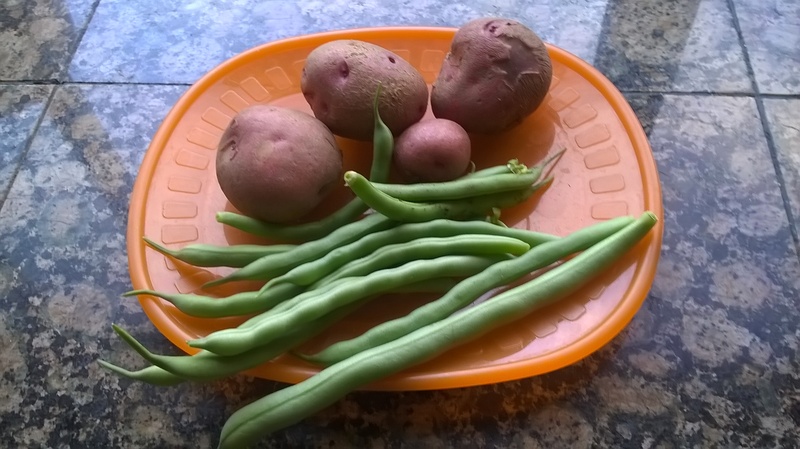 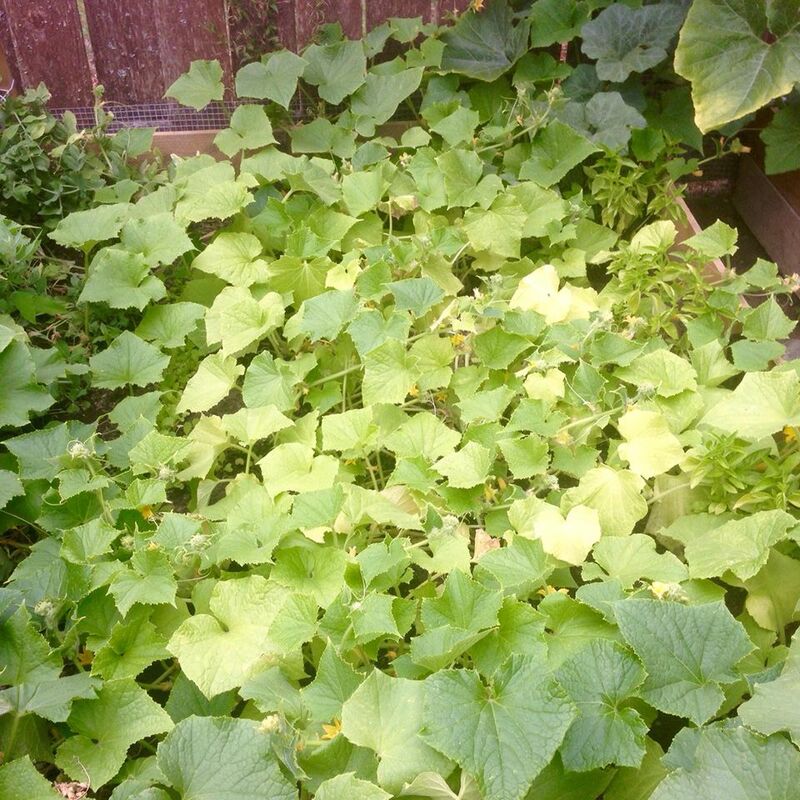 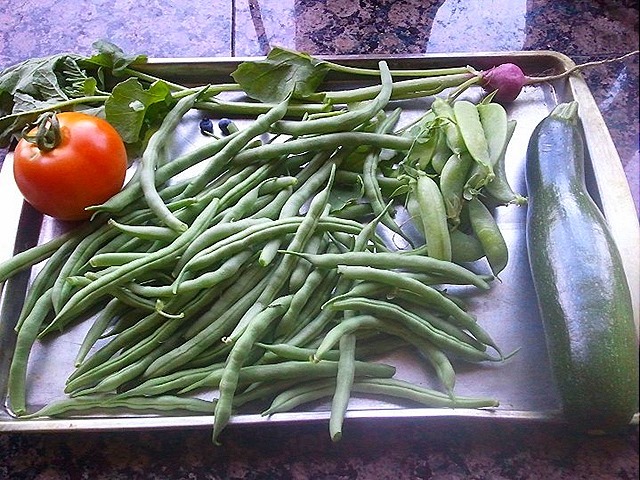 I ventured into the grim garden and managed to pick few veggies. 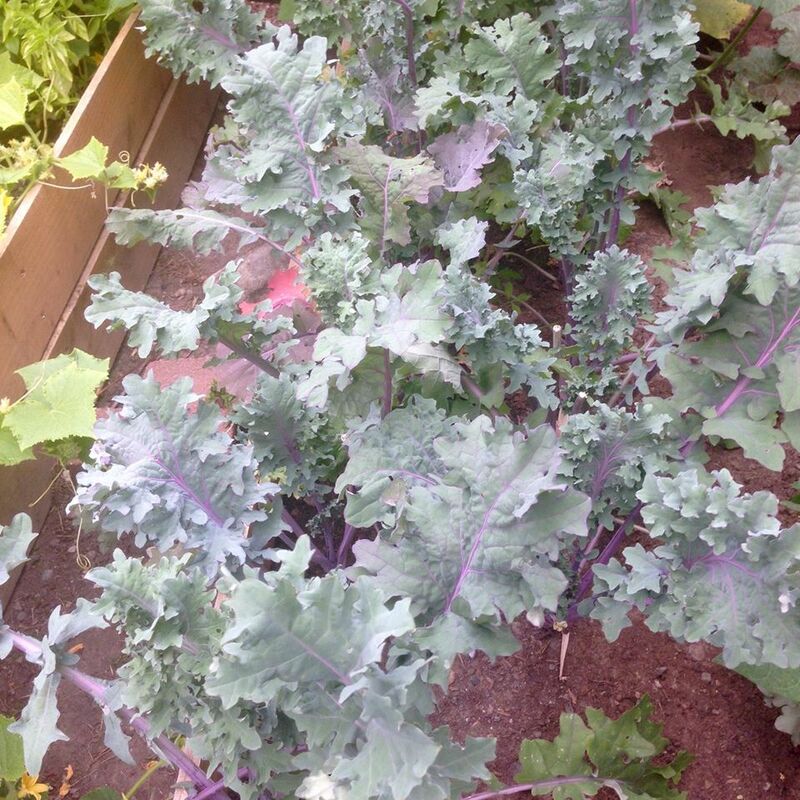 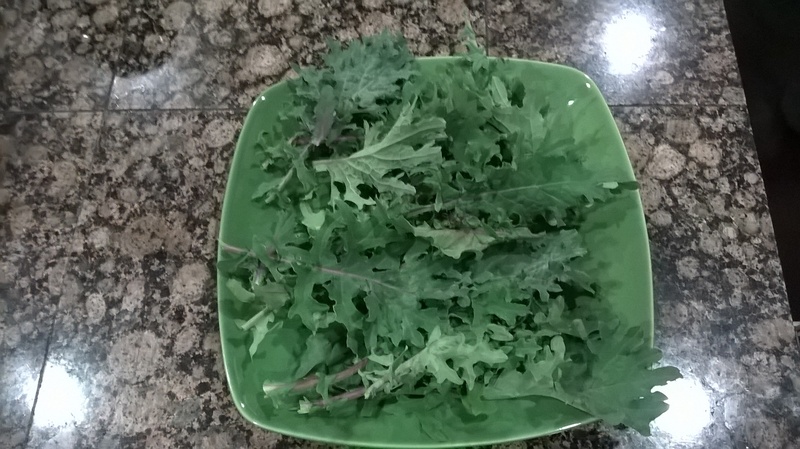 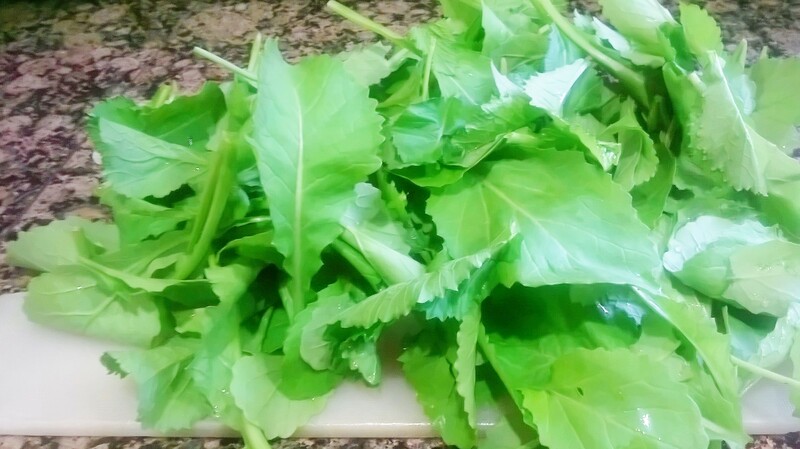 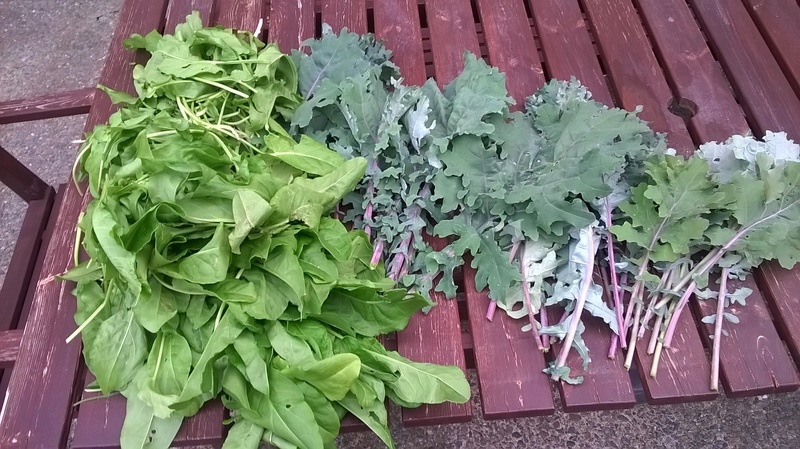 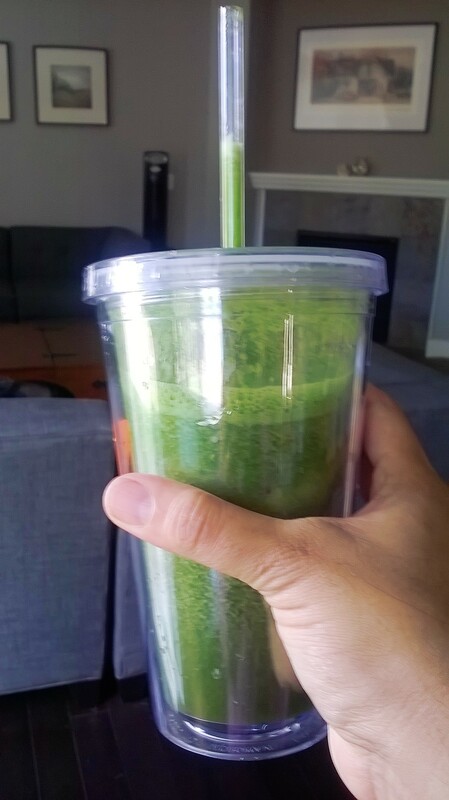 Season’s first harvest of kale! 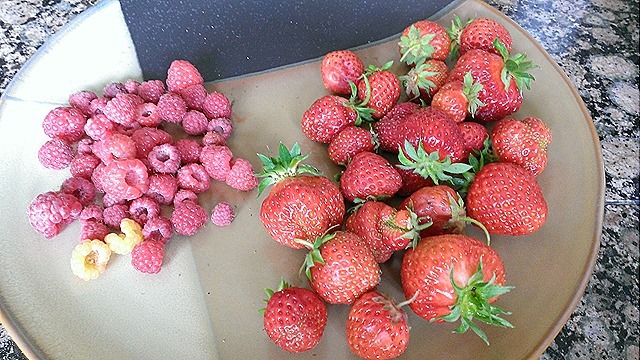 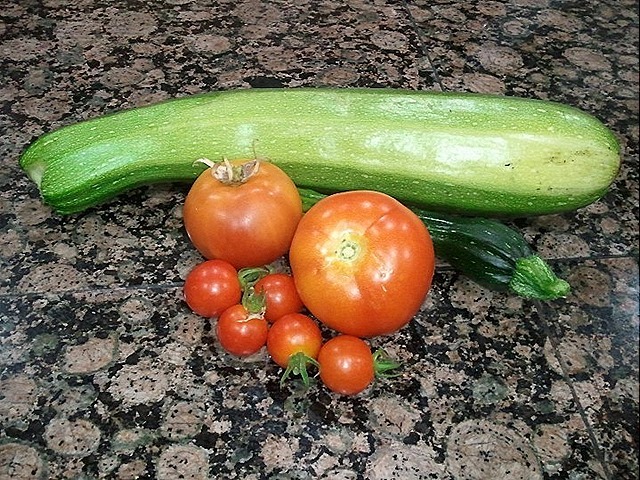 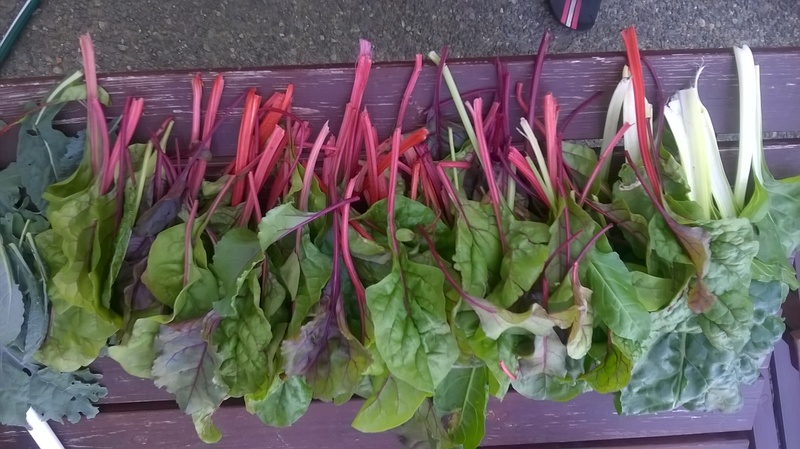 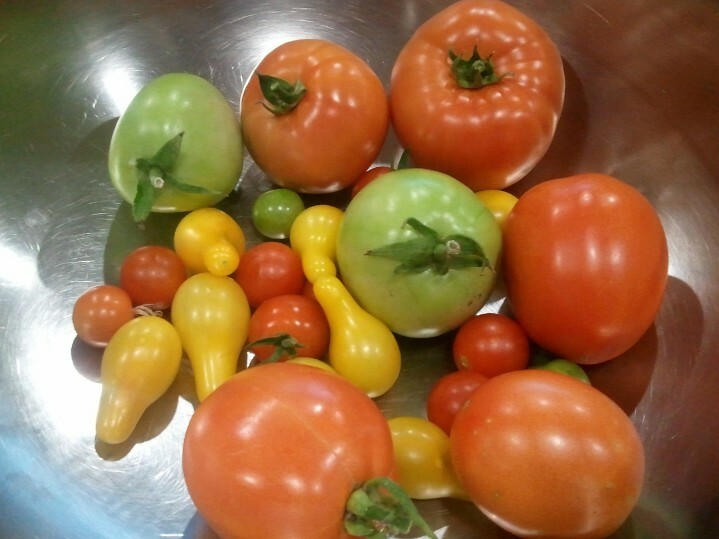 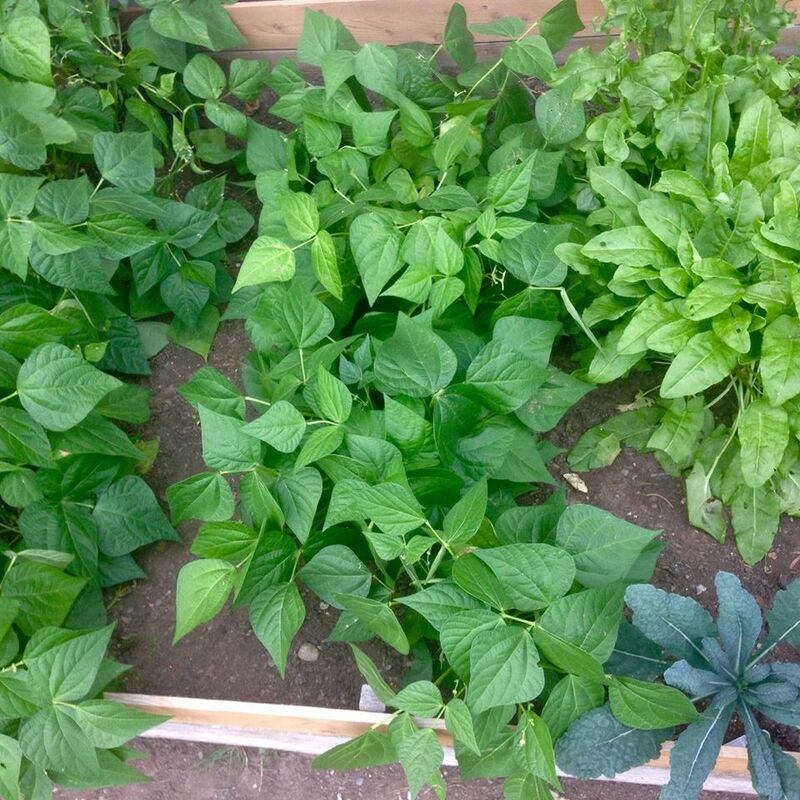 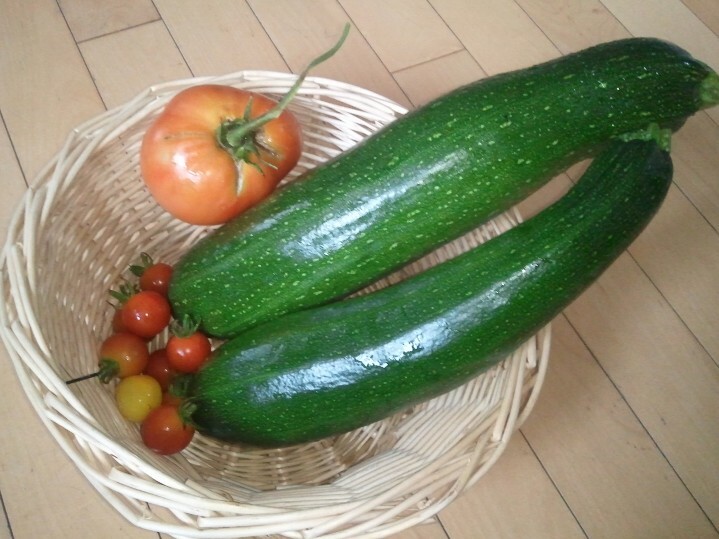 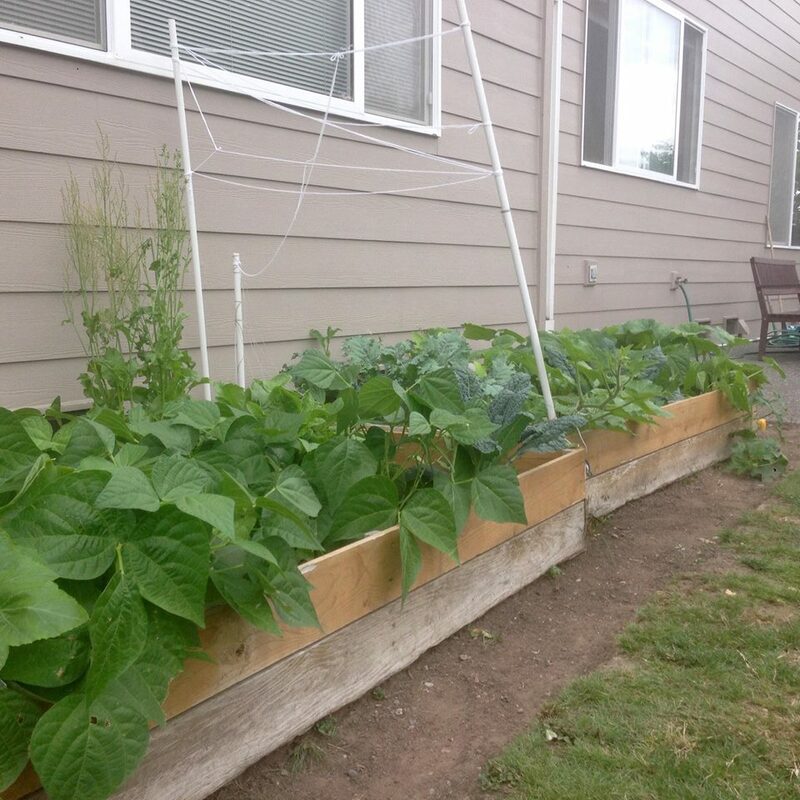 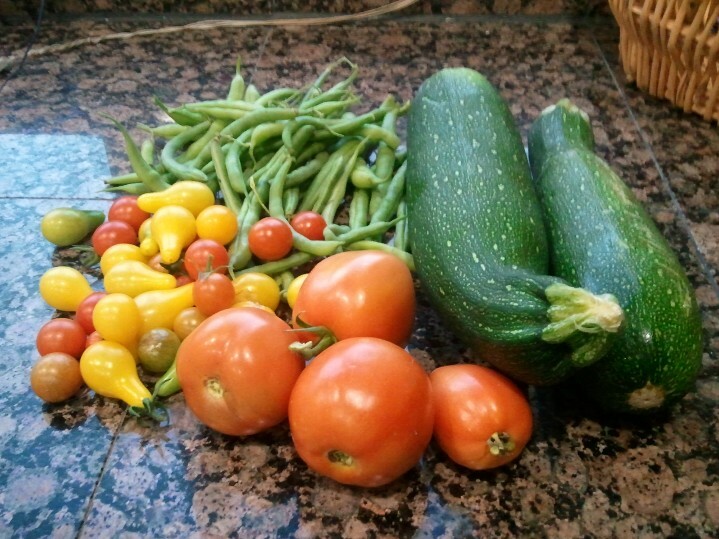 August is prime month for reaping garden goodies. 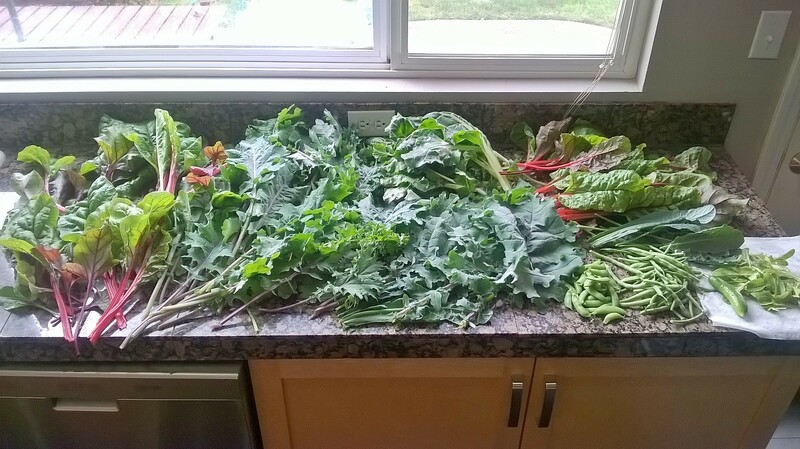 I am able to pick something every other day. 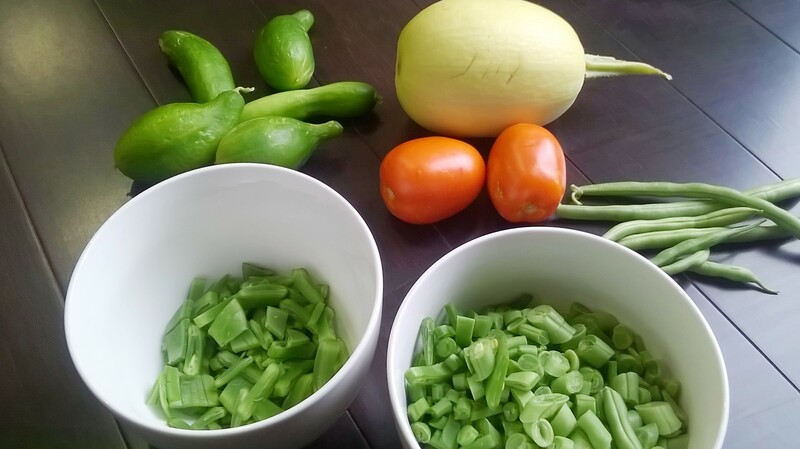 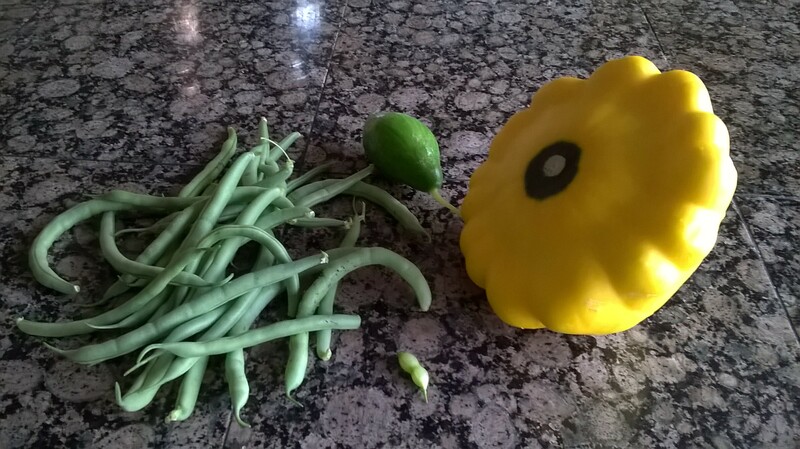 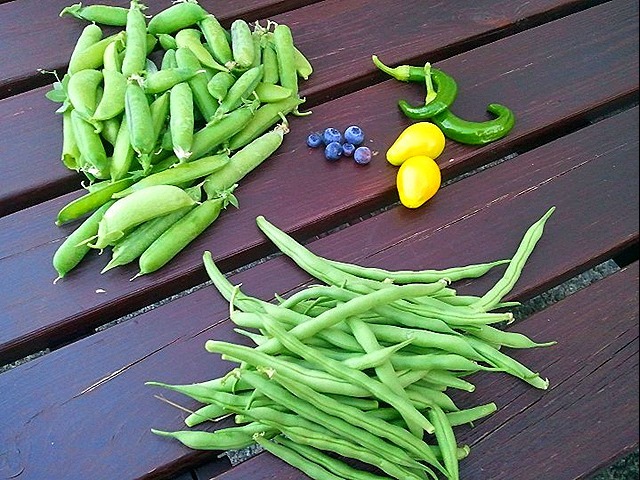 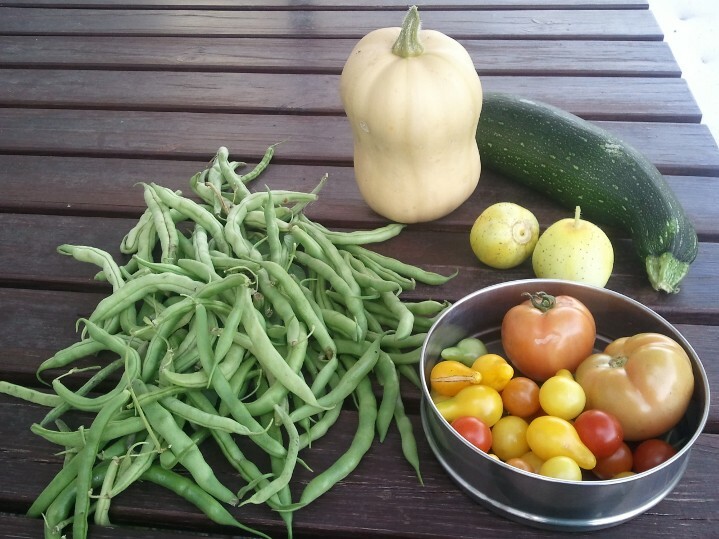 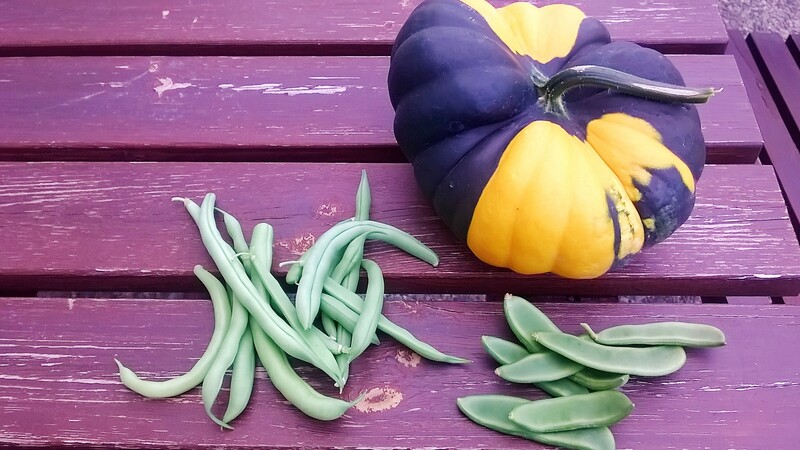 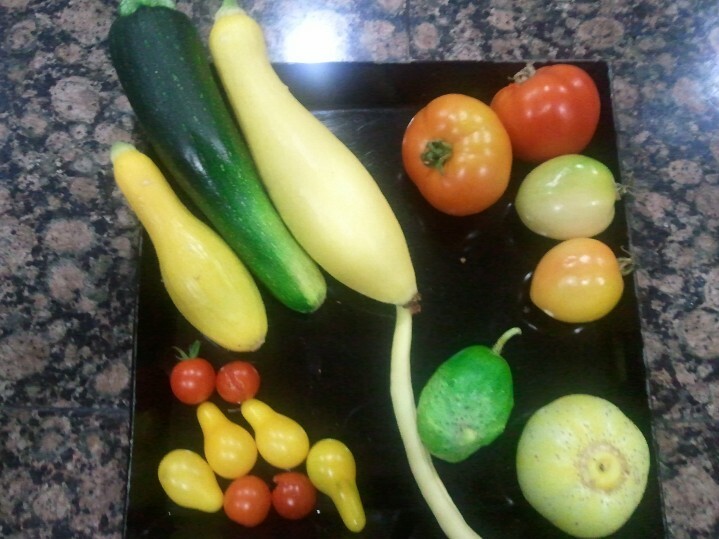 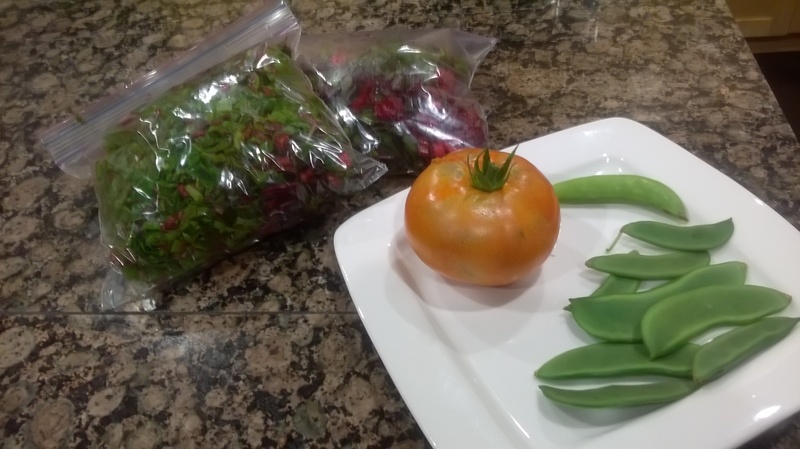 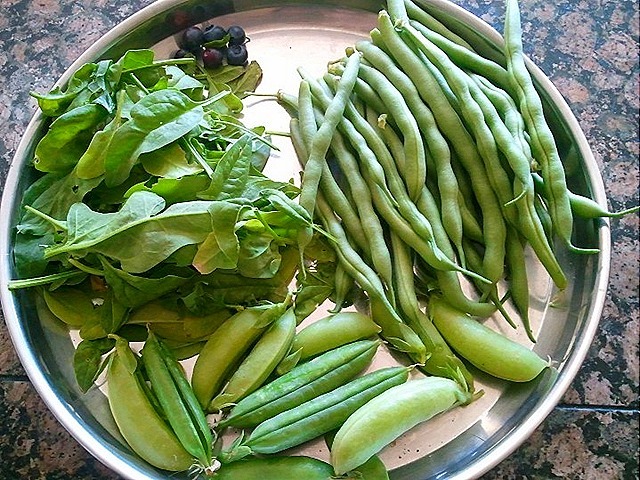 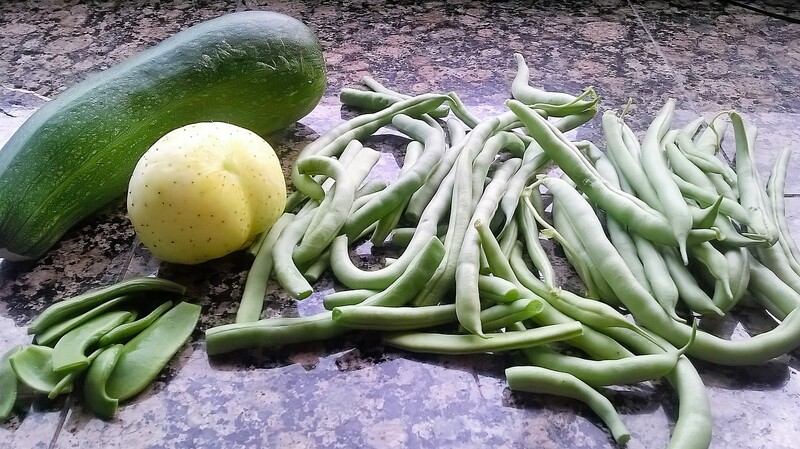 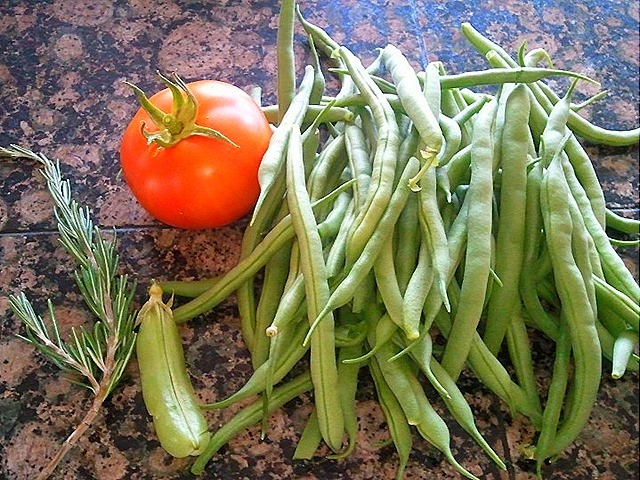 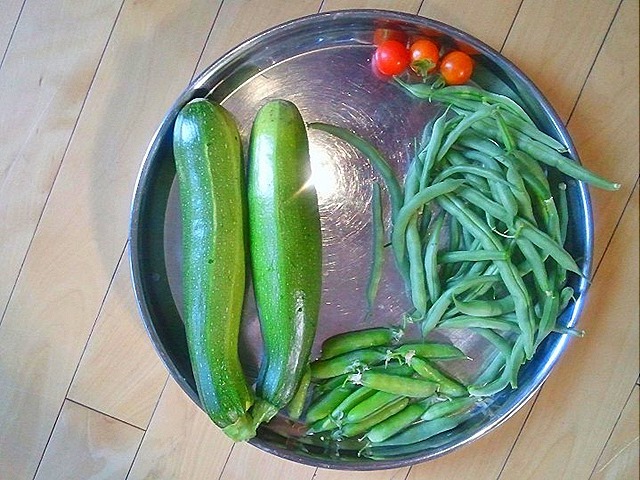 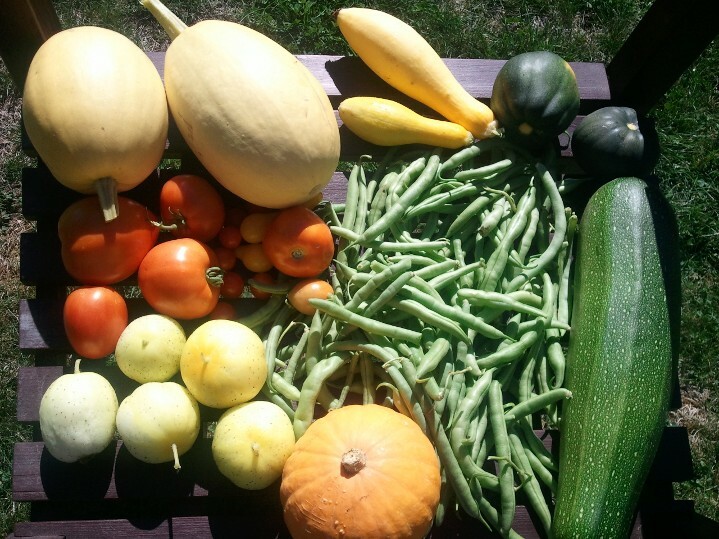 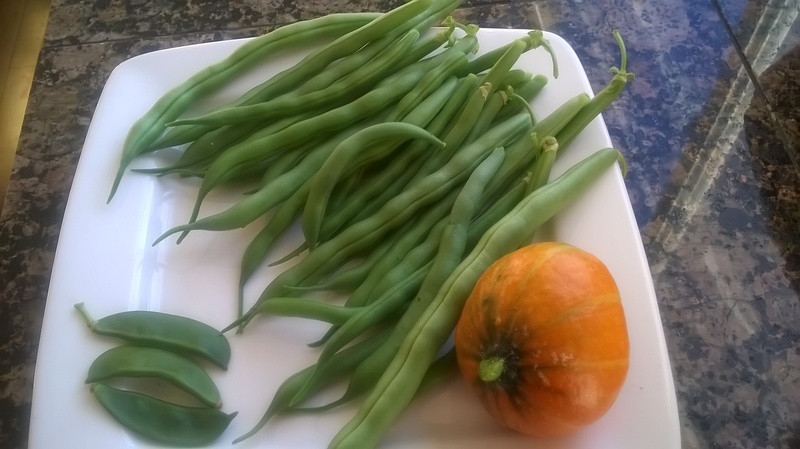 Harvested green zucchinis, peas, green beans (blue lake bush) and sungold tomatoes. 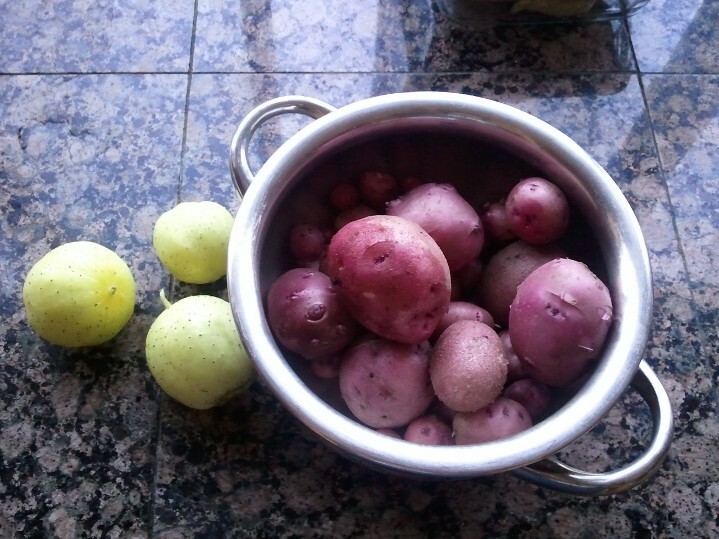 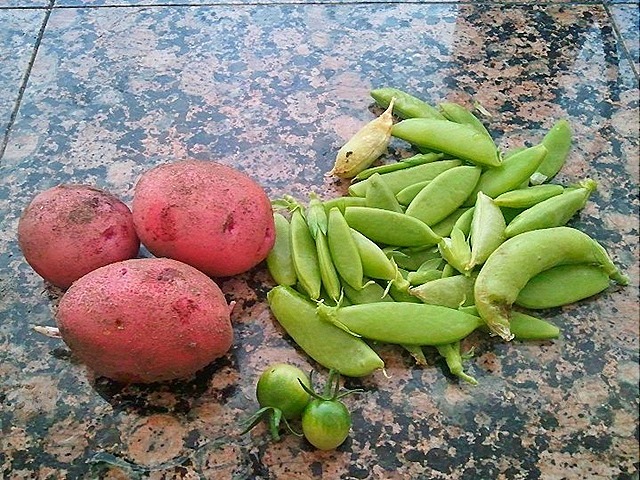 More harvest of red potatoes, snap peas and few green sungolds. 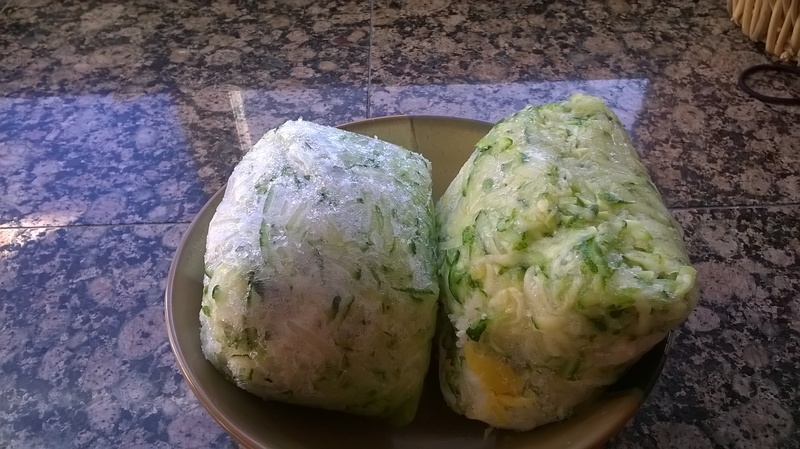 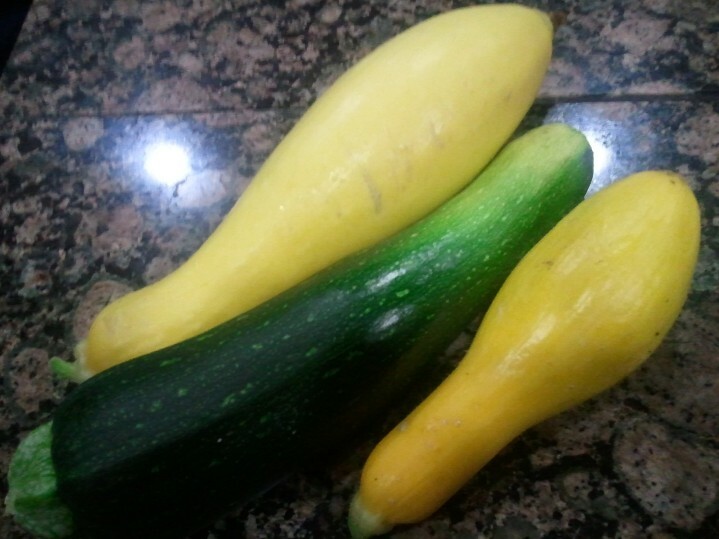 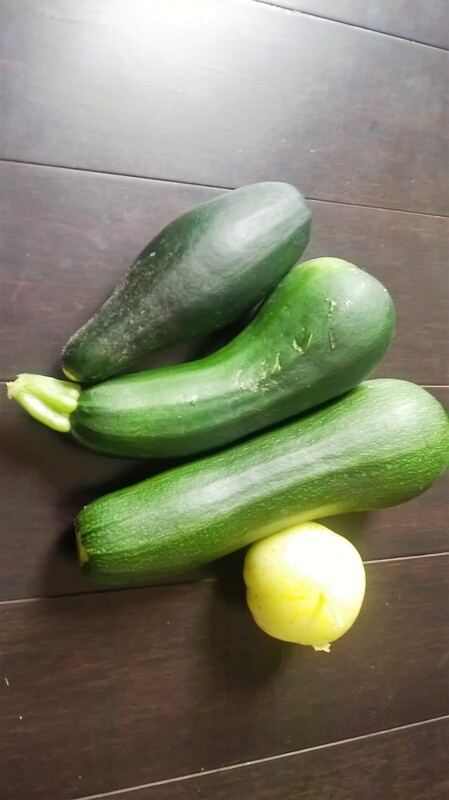 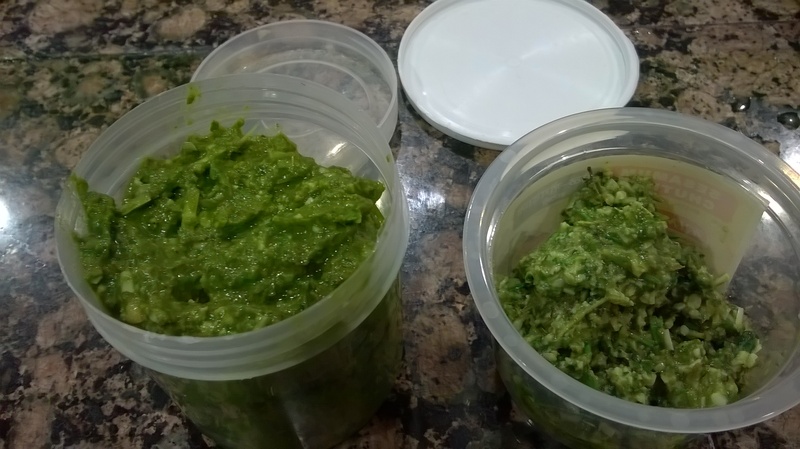 Picked up a big size zucchini and a small one that may have not been pollinated. 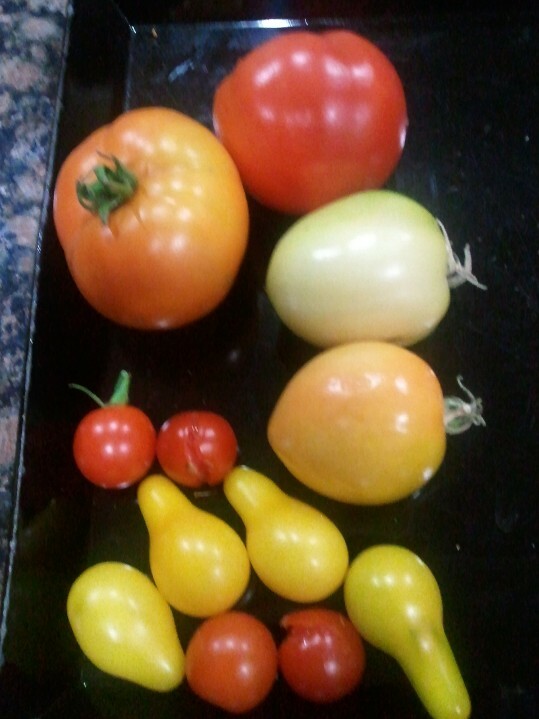 There are couple of early girls and sweet 100s. 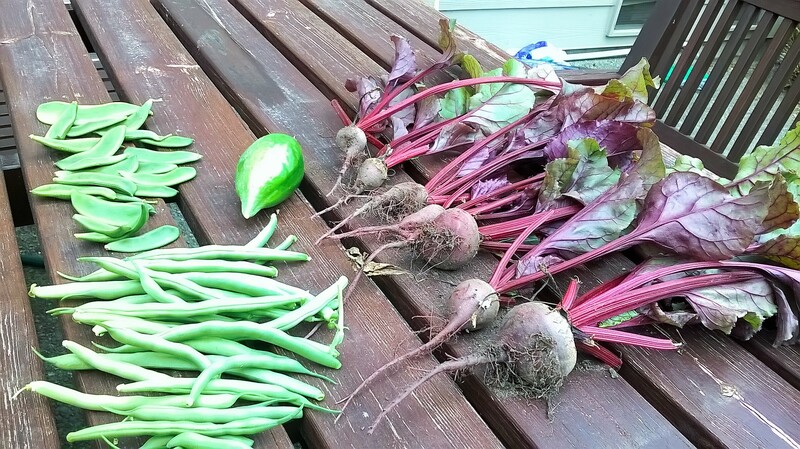 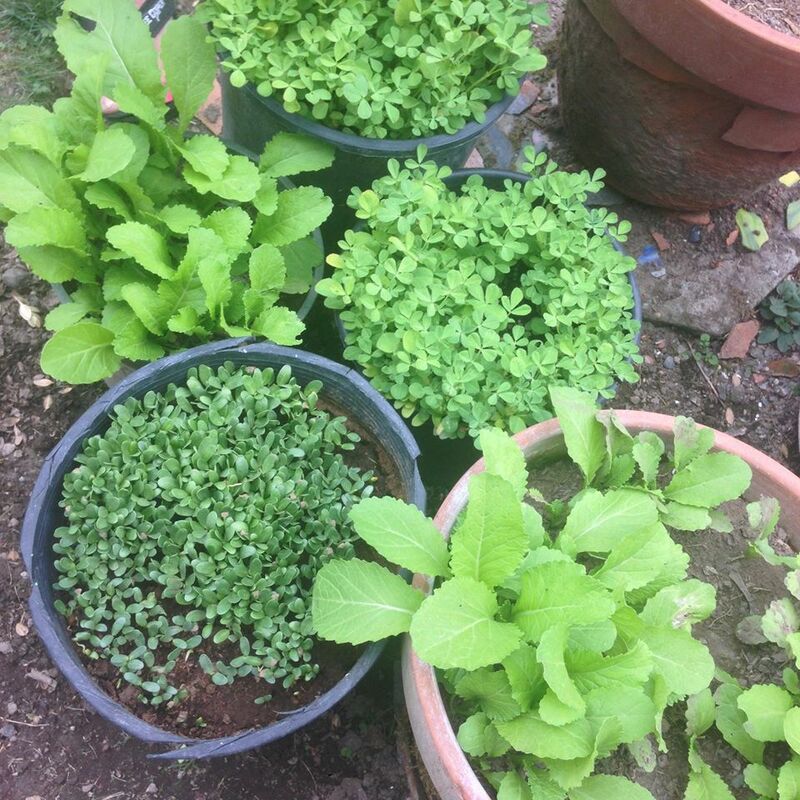 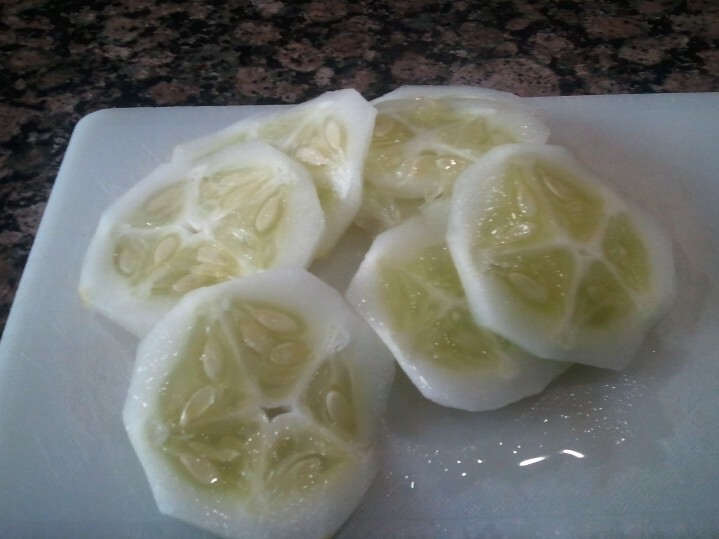 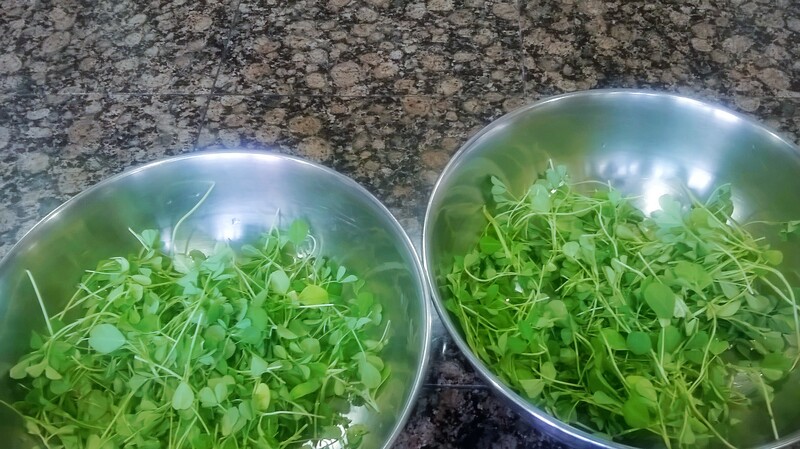 Garden sowing was late this year, I am fortunate that garden responded back quick. 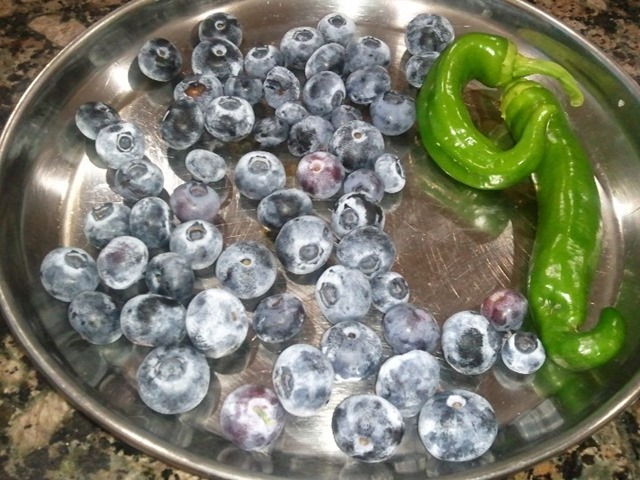 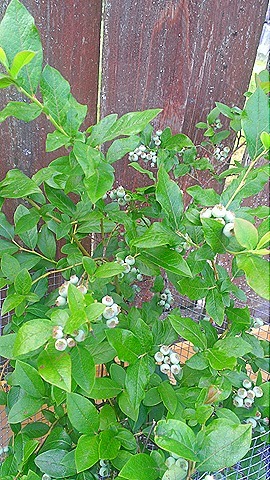 Blueberries were picked along with 2 early jalapeno peppers. 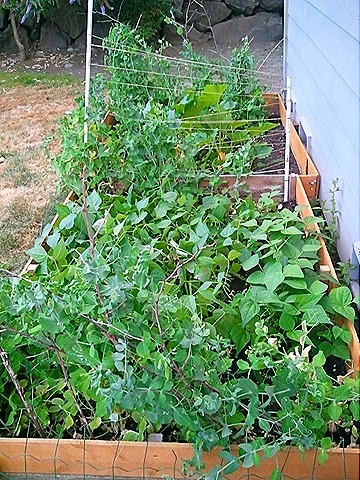 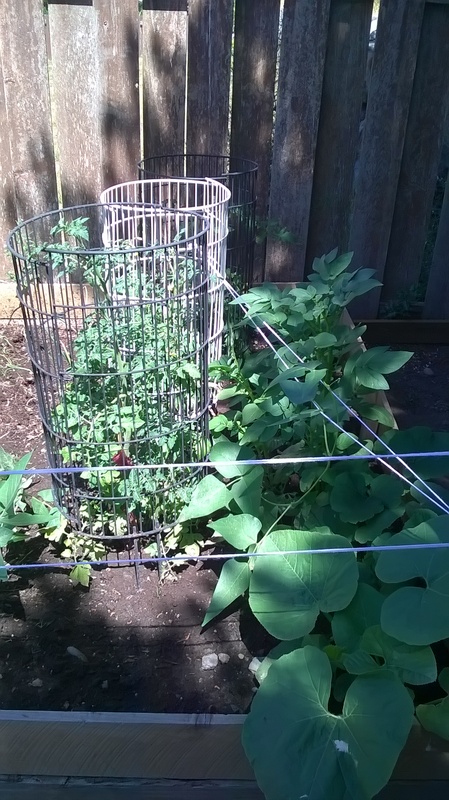 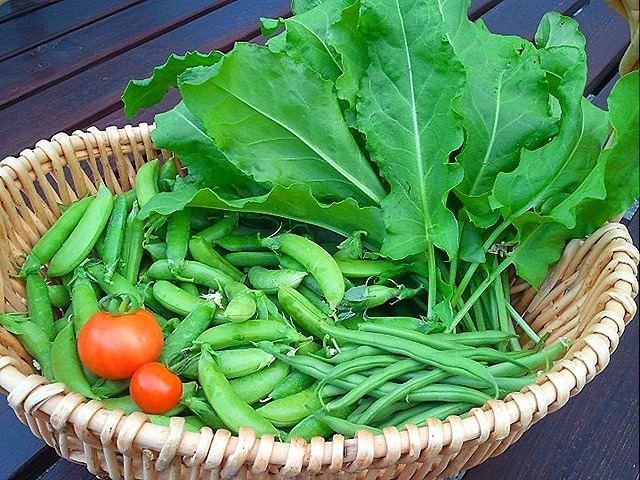 First full basket of the year: Green beans, lots of shelling peas, small tomatoes (first of the season) and green sorrel. 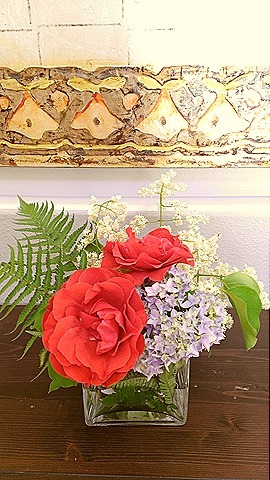 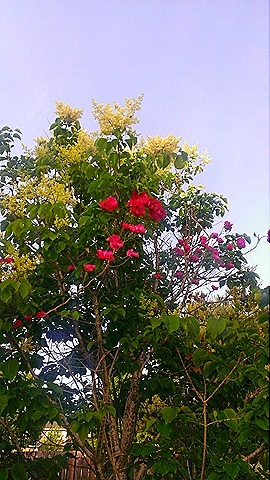 Warm July is shining, this flower arrangement is garden roses, hydrangea, tree lilacs and ferns. 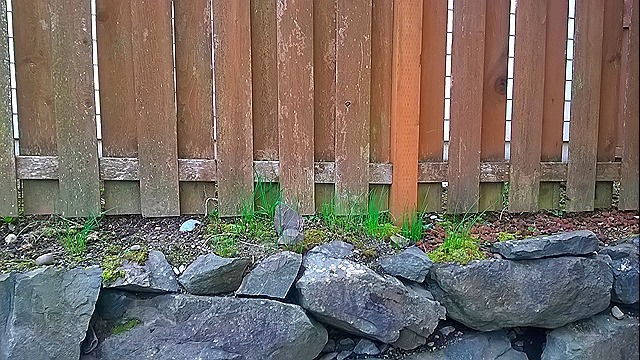 I wonder many times why this weedy plant even occupies primo spot of my garden, I see it all over the town wild in the wetlands. 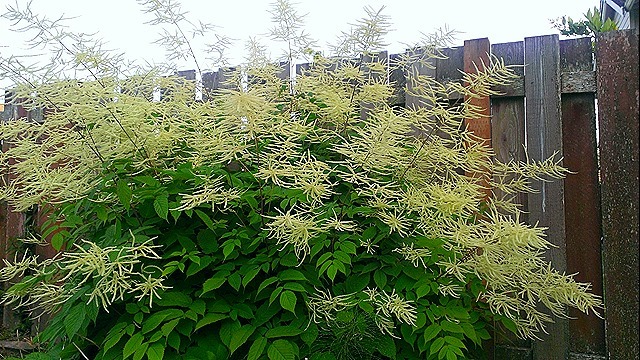 It’s Goat’s beard, I cut it down to the roots every year but it comes back strong. 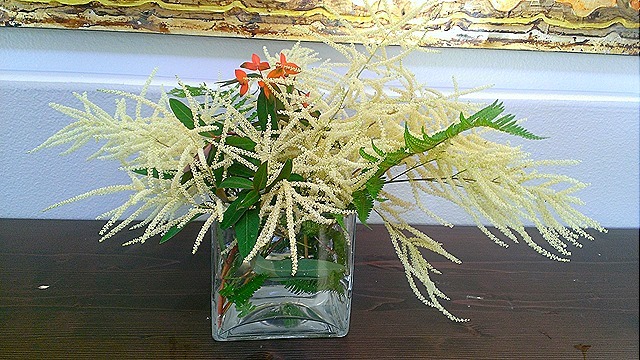 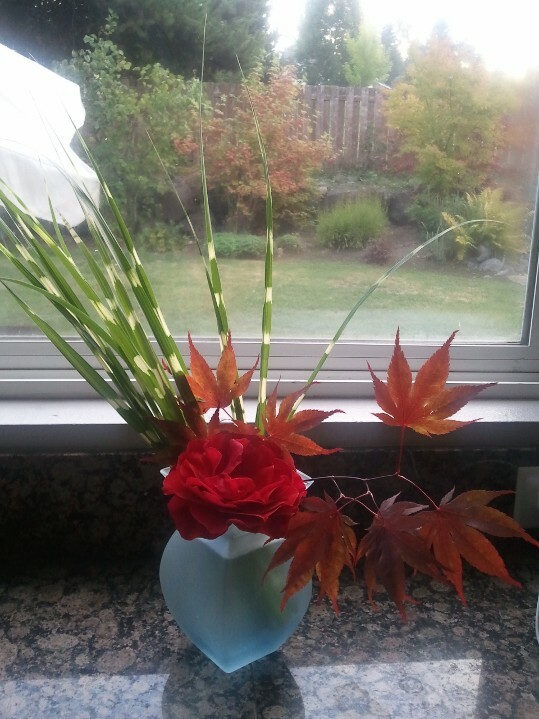 Well, sometimes I get to arrange pretty flowers it produces in late June. 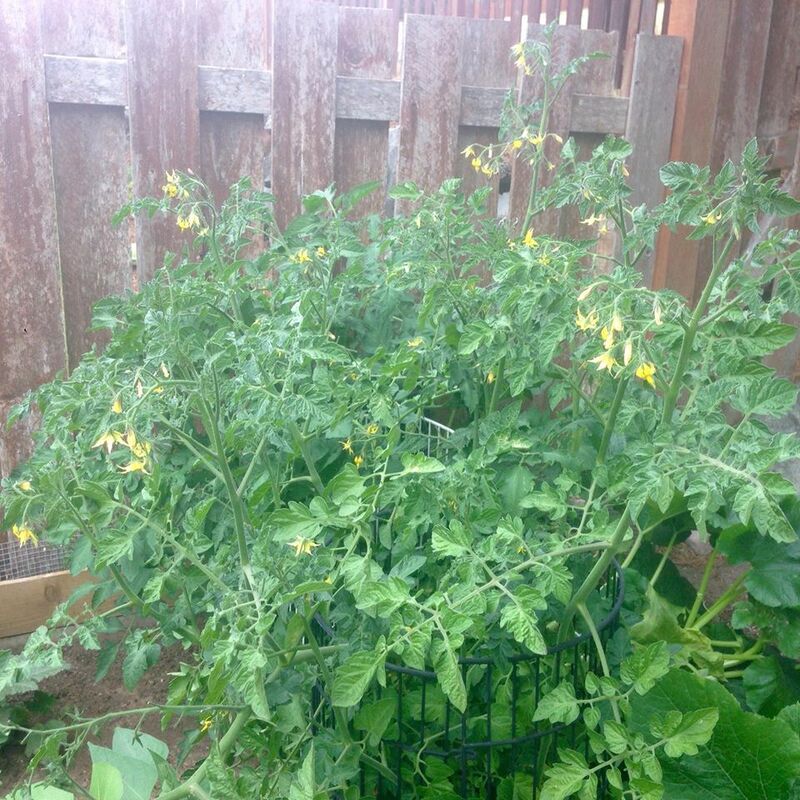 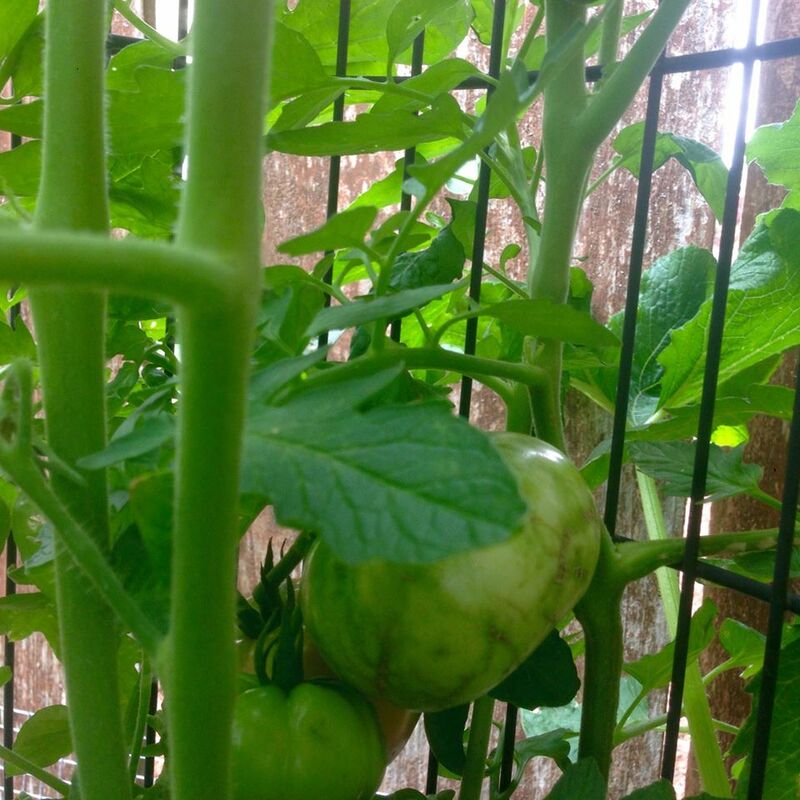 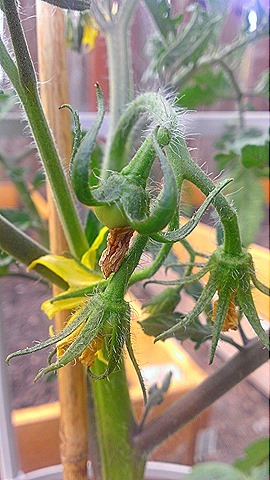 Early Girls are bearing first tomatoes of the season. 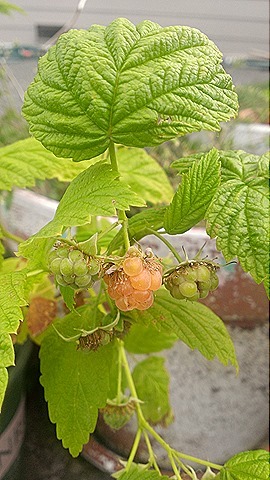 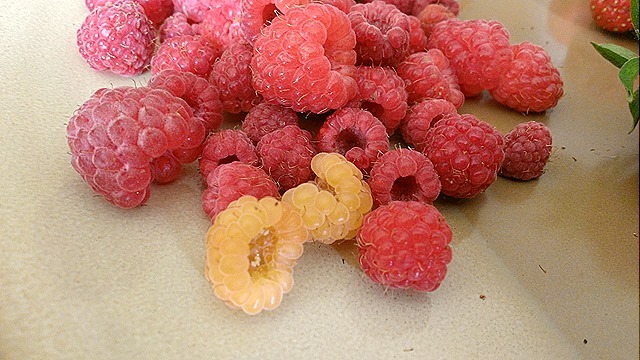 I acquired yellow raspberry plant last year, happy to see it bearing fruits. 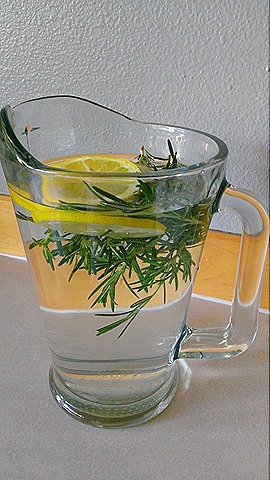 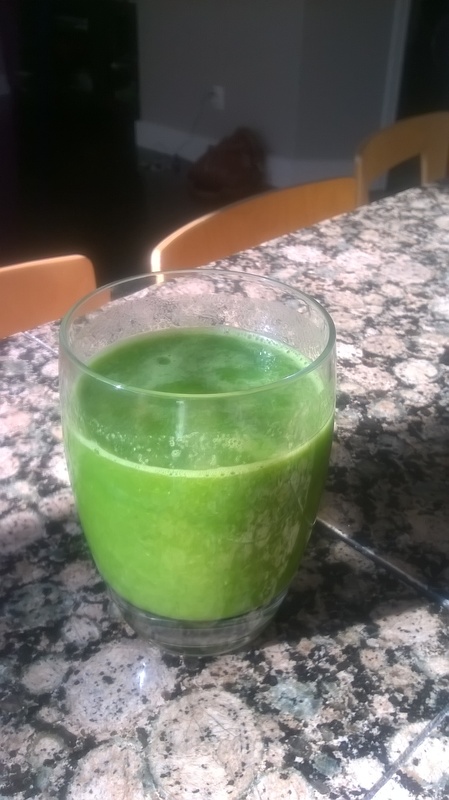 Cooling off with rosemary lemon water. 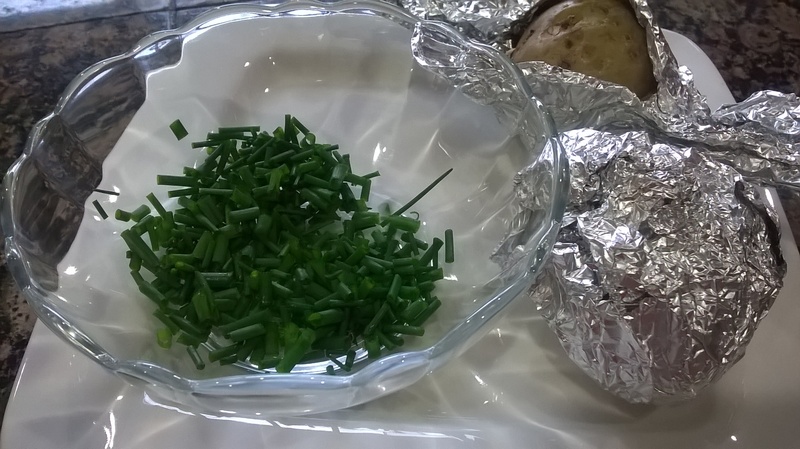 I hacked my rosemary bush this year, plan to dry out excess leaves.